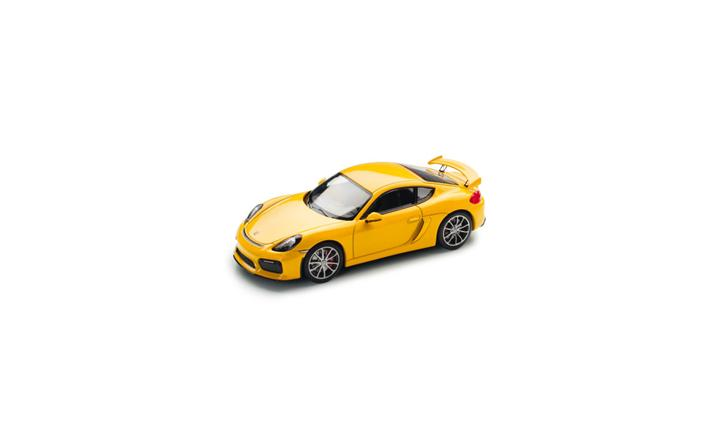 Cayman GT4 (981). In Racing Yellow. Black interior. Made of metal. Scale 1:43. The delivery starts at the end of April.